KARACHI: A significant share of the unreported gains finds its way to the country’s property market, which is characterized by low regulatory oversight and absence of concrete know-your-customer requirements, State Bank of Pakistan (SBP) said on Tuesday in a report. This, coupled with very low official property valuations, provides individuals a ‘legal’ way of under-documenting the transactions; those are benefited particularly who aim to minimize their tax liabilities and/or conceal their wealth as well as the sources of income. 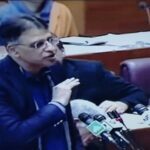 Highlighting the sector became a haven for tax avoidance and wealth concealment, the SBP said that most recent empirical estimates put the size of informal economy of Pakistan between 70-91 percent of the GDP. In addition, a strong contribution of informal sector (over 70 percent) in providing jobs, a high cash to GDP ratio, and tax gap of around 10 percent of GDP, all signify presence of a large informal economy. The District Collector (DC) rates are used in Pakistan for the calculation of provincial tax liabilities such as capital value tax, property tax and stamp duties. These rates are significantly lower than the actual property valuation with gap estimated between 2 to 5 times depending upon the city. The dual objective of transparency and revenue collection necessitates the implementation of targeted and timely measures in the real estate sector. It is encouraging to note that the government has established the Directorate General Immovable Properties, which will act as FBR’s specialized agency on all matters relating to the real estate. However, to make the property valuation process more transparent and effective, it is important for the provincial governments to abolish DC rates and discontinue the collection of stamp duties and other provincial levies. So far, none of the province has abolished DC rates. Since revenue mobilization from immovable property is a provincial subject post 18th amendment, there is little that the federal government alone can do to address the prevailing distortions. It is important to take all the provinces on board before reforms can be implemented. The Finance Act 2018 introduced important measures to counter the under-documentation in the real estate sector and to minimize instances of using the property market for avoiding tax obligations. These included (i) imposition of ban on non-filers on purchasing property above Rs 5 million; (ii) legal proceedings against any property transactions and exchanges that are deemed to be understated for the purpose of either concealment of the source of income and/or tax avoidance; and (iii) vesting power with the government to purchase the property in question in case the understatement is proven. In 2016, FBR introduced valuation tables for the collection of capital gain tax and withholding tax; these valuations were higher than the DC rates, but far below the actual valuations. In 2018, Punjab government made upward revisions in the DC rates for most areas and brought these closer to the FBR valuations in order to enhance revenue mobilization; however the rates in the rest of the provinces remained unchanged at a level much lower than the FBR valuations. While the activity in property market remained upbeat, both the Federal and provincial governments have not been able to mobilize revenues from this source. Compared with other emerging market economies, where the contribution of property tax in overall revenue mobilization is generally lower compared to advanced economies, Pakistan’s performance remains weak.